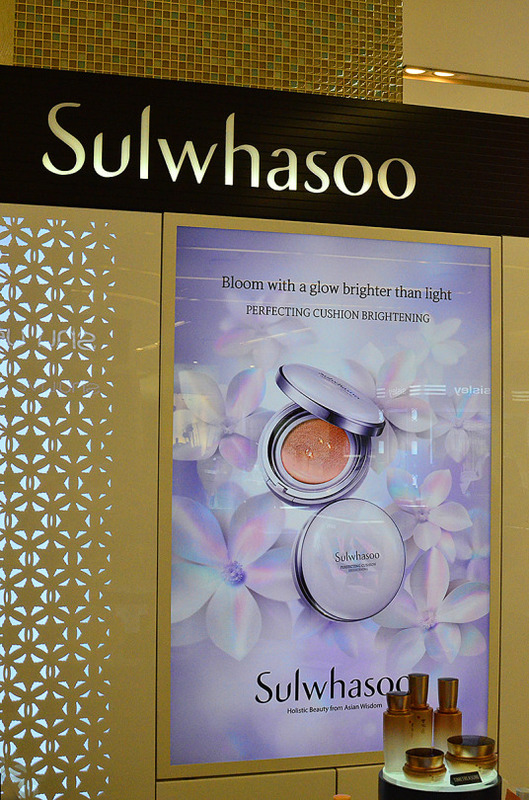 Introducing the latest cushion compact from SULWHASOO, PERFECTING CUSHION BRIGHTENING. I was invited to the launch with fellow bloggers at their counter on Seibu, Grand Indonesia, Jakarta. 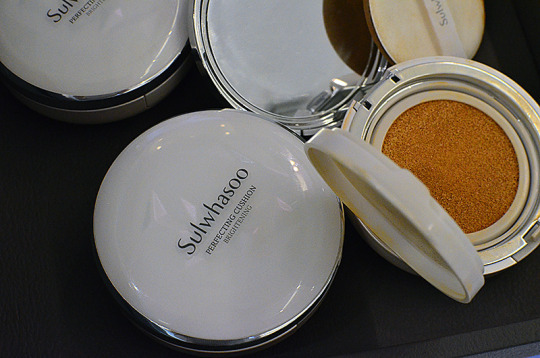 I was a big fan of Sulwhasoo’s previous cushion compact, PERFECTING CUSHION, and I’m sure I’m going to love the new version because: it’s more brightening and more matte! They claimed that PERFECTING CUSHION BRIGHTENING with magnolia extract and Pearlescent Complex will left our skin bright and luminous for up to 12 hours. And rather than regular water, they used Sulwhasoo’s own purifying water blend with skin-clarifying licorice extract to keep skin hydrated, too. 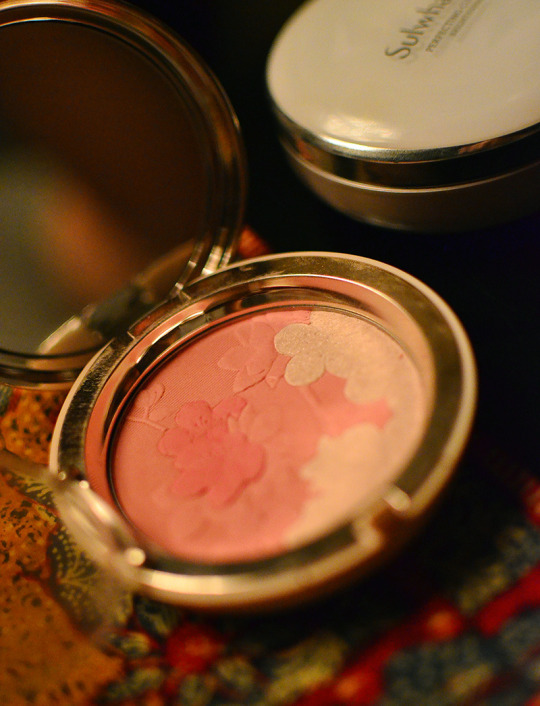 Wait….are you familiar with Cushion Compact in general? Well, if you’re still in CC cream or BB cream (helloooooo), now is the time to move on to this genius product. It is liquid foundation but soaked in cushion like pillow. The cushion allows uniquely weightless and buildable coverage, perfect for that flawless (read: Korean) makeup look. And unlike general traditional foundation, cushion won’t crease nor cake because the texture is super light. Let’s just say: it’s more breathable. At the event, I met Woori Han, Sulwhasoo’s Makeup Artist from Korea. I swear, her skin was so flawless, and when I asked her how many steps she did everyday for her skincare routine, she answered 8. I wouldn’t mind those 8 steps just to get skin like hers. Woori also shared her tips at the event, on how to apply Perfecting Cushion Brightening Correctly. TAP! Yes, tapping with the puff provided in the packaging (not sliding) will deliver that flawless complexion you always wish for. And she also shared how to highlight with lighter shade of cushion, using the W technique. Apply lighter shade shaped into a letter W just below the eyes. She also shared the L technique to apply blush. Apply blush shaped into a letter L just below the highlight. I’m so gonna try her techniques. She recommends to use Sulwhasoo Luminature Essential Finisher before applying Perfecting Cushion Brightening to make it last longer. 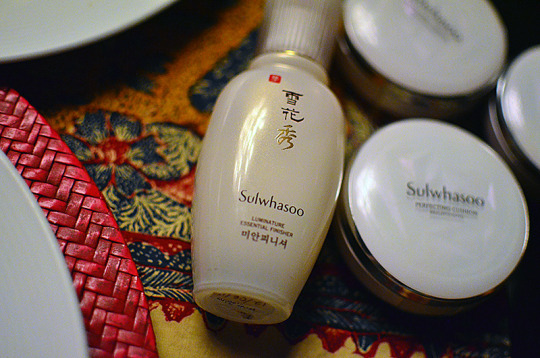 She also carried some of the latest Sulwhasoo’s products which will be available here in Indonesia by June 2016. 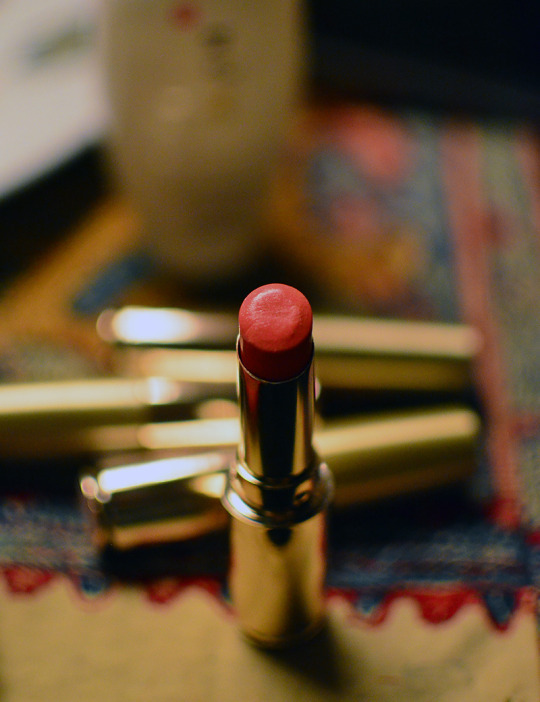 Blushes & lipsticks! Yeay! Can’t wait! Well, stay tune for the review!